The convict cichlid (Amatitlania nigrofasciata) is a species of fish belonging to the Cichlidae. They are so named due to the contrasting black and white pattern on them. Due to the striped pattern, they are also known as zebra cichlids. They are not only the third most popular species of cichlids but are also classified among the most populous species. They breed frequently when provided a safe environment and a safe place to keep their eggs secured. A baby convict cichlid might take about 6 months to mature, during which its parents are fiercely protective of them, to the point of being aggressive towards other fishes if needed. Their average life expectancy is up to 10 years. The convict cichlids are colourfully striped. While they can be found in a huge range of colours and contrasts, female fish are rather brighter than the male of the species. The female species are about 5 cm long, while the male ones measure up to 6.5 cm. Despite this, their weights are almost equal, about 33 to 37 grams. 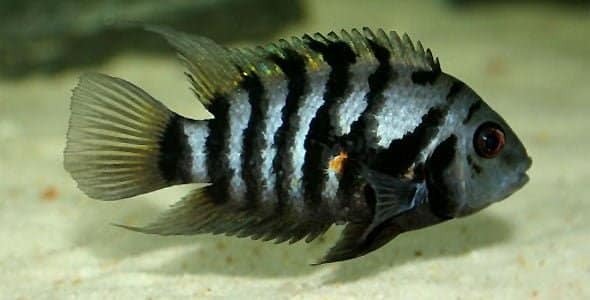 The wild convict cichlids usually have vertical black stripes, on a greyish blue body. These stripes are 8 to 9 in numbers. The male convict cichlid fish are usually larger and have more pointed sets of fins when compared to the female convict cichlids. They sometimes also develop fatty lumps on their foreheads with old age; these lumps seem to have no function. The history and discovery of the convict cichlids begin in Australia. Around that time, it was also found in Japan. However, its population recording and detailing did not take place then. The first time a population of convict cichlids was recorded was much later when it was found in Iran. After that, the fish found in the Middle East region was accounted for. The species of convict cichlids originate from Central America. The East coast habitat is from Guatemala to Costa Rica, while on the west coast they are found from Honduras to Panama. The convict cichlids prefer flowing water to still and are usually found in rocky habitats, with fissures and clefts on the surface where they can hide for safety. Their preferred pH is neutral but they can survive from 6.6 to 7.8 pH, while they are more adaptable and tolerant of cool temperatures. The convict cichlids are known to show more aggression than normal in warm climates. Although not as populated as in Central America, they can also be found in Mexico, Japan, Columbia, and Australia. The convict cichlid fish are omnivores. Ideally, the convict cichlids prey on small fish or insects like worms, or small plants like algae, and mainly crustaceans. However, they are highly adaptable. The convict cichlids can even survive on flakes or dead microorganisms. They can feed on living, dead, meaty and vegetable food. Their ability to protrude their jaw helps them to prey on other fish and successfully compete for it. Their adaptability to different kinds of food and environment makes them a popular aquarium fish. However, their gut health can be negatively affected by anxiety. The cichlid fish are known for being aggressive and territorial, and the convict cichlids are no different. The environmental factors play a great role in their changing behaviour patterns. Since they usually breed in higher temperatures, they tend to demonstrate a territorial behaviour, in order to protect their eggs. 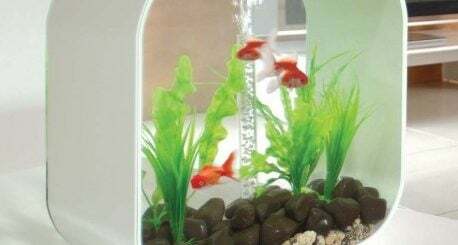 Consequently, while keeping them in an aquarium, it is essential that they have enough room for themselves. The convict cichlids have been widely researched and studied over their behavioural patterns. The convict cichlids mostly have only one mate throughout their lives. The female species prefer males who are larger in size. This is because they offer the benefits of being able to produce more offspring, and being more territorial and protective towards their families. The convict cichlids are a biparental species. This means that both the parents take care of their offspring. While the female parent is more likely to take care of the eggs, the male parent’s job is to ward off intruders. In the absence of one parent, the other is unable to fulfil both the functions. The convict cichlids are also known to adopt offspring. However, they make sure to adopt young fish of either the same size or smaller than their own offspring, to prevent predatory attacks on their own. A convict cichlid egg takes about 72 hours post fertilization to hatch. During this time, their parents have two major functions to perform; warding off intruders and providing enough oxygen to the eggs. The parents keep predatory species away from their eggs, and constantly fan the eggs from time to time, using their fins; this is done to increase oxygen availability to the eggs during development. The larvae born after hatching do not have completely developed fins, thus, another period of 72 hours is required for that. After this, the fry develops its fins and is free to swim around with its school. However, like in other species, they too are required to return before the dark. This is to avoid being preyed upon. It takes 4 to 6 months for a convict cichlid fish fry to reach sexual maturity. 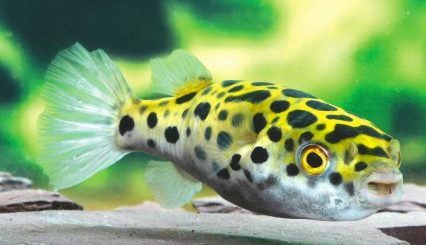 While the breeding period for female convict fish lasts about once per season, the fish in aquariums can breed after every 13 to 15 days, provided that they have suitable environmental conditions available. Breeding convict cichlid fish is as easy as it gets! All you have to do is keep a male and female species together, and provide them with an adequate water supply and suitable temperature, they will rapidly multiply. 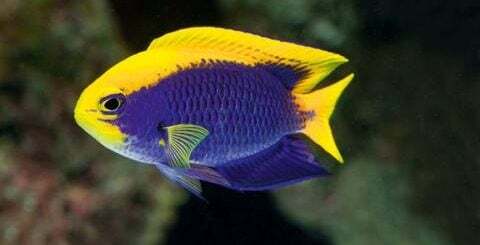 They are also not very particular about their partners; any male and female species of the convict cichlid fish would breed together to produce offspring. In fact, they can produce 20 to 30 baby convict cichlid fish after about two to three weeks of breeding. It should be noted that the process of breeding is more effective when their environmental temperature is slightly raised. This is why beginners prefer to breed this over other species. The breeding happens when the male convict cichlid courts one female for a considerable time, after which the female lays eggs wherever she finds suitable and safe. The fish of the convict cichlid family are highly monogamous. Although there is not a well-acclaimed conclusive prove for this, but it is hypothesized that the convict cichlids might have a negative impact on the aquatic wildlife. This is due to them attacking and chasing away whoever they perceive as a threat to themselves or their eggs. The convict cichlids have resulted in a decline of other species like Rhinichthys osculus. Studies have proved that they also caused decline and reduced breeding of Crenichthys baileyi, in Nevada. It is of concern that Crenichthys baileyi is already an endangered species. However, due to their aggression and being territorial, they are able to thrive in environments with restricted food supply and competition for habitat. Therefore, in cases of dietary overlap of convict cichlids with other fishes, the convict cichlids are likely to win over the food resources. This can be attributed to their aggression. While the acclimatization of convict cichlids is probably the easiest, keeping them with other species of fish is hard. Due to being extremely territorial and aggressive, they are known to attack, bite, and chase the other species present in the tank. The convict cichlid fish become specifically more aggressive during breeding season, so it is best to keep them isolated from other types of fish. However, some might keep them with fishes like barbs and mollies, which are quick and are able to speedily escape from attacks. To acclimatize the convict cichlids, it is ideal to keep the surroundings as close to their natural habitat as possible. Why are the convict cichlids a popular aquarium species? They are easier to acclimatize. The convict cichlid fish can survive in a broad range of pH and temperature, which is why it is easier to keep in a tank. Taking care of it is not as fussy as for other species, which is why beginners prefer them. They can eat and survive on many things. The convict cichlid fish can eat dead or alive insects, also small organisms from the plant kingdom, like algae. This again, makes taking care of these fish easier. In some countries, they are cheap. While not everywhere, the convict cichlid fish are very inexpensive in some parts of Australia, Central America, and Japan. They breed easily. The convict cichlid male and female species, despite being monogamous, mate frequently. This can not only increase the number of fish in a tank, but some people also sell the fry to earn extra money.